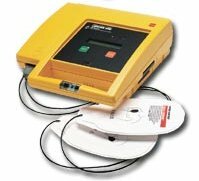 Keeping the Magnolia Community heart safe; the AED difference..
Time to defibrillation, the most critical factor in sudden cardiac arrest (SCA) survival, can be reduced if an AED is "on-site" and can be brought to the victim quickly. This is one of the reasons that survival rates improve in communities with active AED programs. 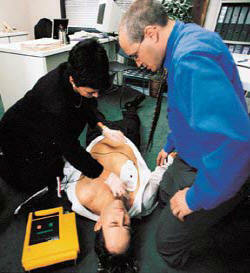 Remember, every minute that passes before defibrillation reduces survival rates by 7-10 percent. The goal is to improve SCA survival rates. On-site AEDs can make the difference.